Christopher practises corporate and commercial litigation, with a strong focus on corporate litigation, class action defence and cross-border litigation. He is a key contact for Osler’s Class Action Defence Group, and he has acted as counsel in a number of the largest and most complex class proceedings across Canada covering a broad range of tort and statutory claims, including allegations of anti-competitive conduct, securities violations, insider trading, oppression and derivative claims, misleading advertising, product liability, economic torts, as well as negligence and fraud. 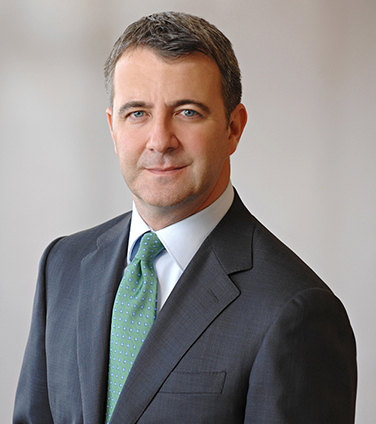 Christopher has extensive experience in litigating complex commercial disputes involving shareholder rights, director and officer liability, auditor’s negligence, valuation proceedings, insurance disputes, privacy and data breaches and professional liability. Christopher has also acted in a number of leading antitrust, securities and disciplinary investigations and enforcement proceedings, and he regularly acts in matters involving the Competition Bureau, the OSC, the RCMP/IMET and the IIROC. Christopher has argued cases before trial and appellate courts across the country, including the Ontario Court of Appeal, the B.C. Court of Appeal, the Federal Court of Appeal and the Supreme Court of Canada. Prior to joining Osler, Christopher served as a law clerk for the Right Honourable Antonio Lamer, Chief Justice of the Supreme Court of Canada. Chris is currently ranked as a leading litigation lawyer in Canada in Chambers Global: The World’s Leading Business Lawyers 2018, Benchmark Litigation Canada 2018 and The Best Lawyers in Canada 2019. In his younger days, Chris was recognized by Lexpert as one of the “Top 40 Under 40” lawyers in Canada in 2007. Acting for a leading international manufacturer of chocolate in respect of an ongoing regulatory investigation and parallel antitrust class proceedings throughout Canada. Acting for one of the world’s largest energy companies in respect of an ongoing securities class action in Alberta relating to allegations of insider trading contrary to the Securities Act. Acting for a major international airline in a regulatory investigation and parallel class action proceedings in Ontario, Quebec and B.C. relating to allegations of price-fixing in the global and domestic air freight industry. Acting for a global producer of dynamic access random memory (DRAM) in a regulatory investigation and parallel class action proceedings in Quebec and B.C. relating to allegations of price-fixing in the computer memory business. Acting for a leading producer of monitor products in a regulatory investigation and parallel class action proceedings in Ontario, Quebec and B.C. relating to allegations of anti-competitive conduct in the distribution of computer monitor components. Acting for a leading accounting and consulting firm in ongoing regulatory proceedings involving the OSC, SEC and RCMP relating to allegations of accounting and securities fraud at a global technology company, as well as in respect of cross-border class action proceedings and an ongoing derivative action. Acting for a major U.S. chemical producer in defending a class action relating to the sale and distribution of engineering resins in the automotive sector. Acting for a leading national retailer in respect of a representative action before the Ontario Superior Court brought on behalf of 1200 former employees who claim an entitlement to surplus assets within the company’s pension plan. Acting for a leading technology company in oppression proceedings relating to the company’s compliance with its articles and share purchase provisions. "Christopher Naudie is commended for the calibre of his litigation practice, and is noted in particular by one source for his capability on "significant cartel cases." He is well versed in litigating matters before the Competition Tribunal as well as in cartel investigations." Professionalism Issues in Class Action Litigation, The Law Society of Upper Canada, Class Actions – A Bootcamp for Litigators, October 2, 2014. U.S. Supreme Court holds that “reverse payment” patent litigation settlements are not immune from antitrust review, Commercial Litigation and Arbitration Review, vol. 2, no. 3, August 2013 (written with Vincent de Grandpré and Michelle Lally). “Obtaining Evidence in Canada for U.S. Litigation" presented at the Cross-Border Litigation Forum in New York City on September 12, 2012 (written with Éric Préfontaine, Kevin O’Brien and Carly Fidler). The Certification of Antitrust Class Actions: The Recent Lessons from Canada and The Enduring Appeal of Illinois Brick, American Bar Association, Section of International Law Annual Fall Conference, September 2008. Antitrust Class Actions in Canada: The Recurring Obstacles to Certification Under the Shadow of Kingstreet Investments, Canadian Bar Association, Annual Fall Conference on Competition Law, September 2008. Cross-Border Investigations and Litigation: How to Protect Your Client in the U.S. and Canada, (Antitrust Law) American Corporate Counsel Association, ACC Webcast, December 2007. The OSC Won't Wait: The Implications of Parallel Criminal and Regulatory Proceedings in Cross-Border Securities Litigation, The Canadian Institute’s 7th Annual Advanced Forum on Securities Litigation, November 2007. Regulatory Cooperation with the OSC & SEC: Protecting Your Rights While Minimizing Your Liability, The Canadian Institute’s 6th Annual Advanced Forum on Securities Litigation, November 2007.